If you’re a novice who has little experience, it’s helpful to know the role of the Wedding Master of Ceremonies if you’ve been chosen as one since you’ll play an important part as the key person running the reception. A frequently asked question is, “What does an MC do at a wedding?” because most people have been to a wedding or two, usually as a guest, not as a Master of Ceremonies. But chances are you have never stopped to consider what an MC’s role is and what went into planning and organizing the events so that everyone could enjoy themselves and have fun. What I’m referring to, of course, is what happens in the background or behind the scenes – everything that is done before the wedding so the guests see only the finished product – the beautiful decorations, the table setting, the meal or buffet, the room set up – which are the end result of many hours of planning and hard work by the planners. This painstaking and time consuming planning allows everyone to enjoy the celebratory atmosphere at the function. This is the person who wears many hats – he or she is an announcer, a facilitator, a spokesperson, a host, an organizer, a conductor, and, at times, an entertainer…in a subtle way. The Wedding MC – and his or her role – is so important to the reception that he or she can “make or break” the bride and groom’s special day. An unprepared or inexperienced Master of Ceremonies can cause the reception to drag on with disruptions or confusion and become boring – and that’s the last thing anyone wants, especially if guests are leaving early. Instead, a reception should honor the newlyweds and be “upbeat” with a party atmosphere as the bride and groom celebrate their important day with friends and relatives. You may have noticed that yourself when you’ve been a guest at a wedding. A good MC knows how to keep things moving along at a comfortable pace. He or she knows how to deal with “gaps” in the program. And he or she makes things fun. If you’re a bride-to-be then chances are you’ll need someone to oversee the events of the function, especially if you have a large number of guests – which is usually the determining factor when deciding whether or not to have an MC. It’s important that you choose your Wedding Master or Mistress of Ceremonies with care because your celebration is very important to you. You want your guests to have fun and you want to celebrate with them without worrying about organizing anything during the celebration. In fact, you and your groom should be able to sit back and enjoy yourselves without having to pay too much attention to the agenda or the timeline. That’s for someone else to take care of. Ideally, an MC – who can be either a man or a woman (known as a “Mistress of Ceremonies”) – should be outgoing, organized, diplomatic, and like to have fun. Because having a fun personality is one of the keys to creating a fun reception. The person you choose will usually be someone who is naturally friendly and affable and who gets along so well with people that everyone instantly likes him or her. Sometimes you’ll choose an experienced professional to take charge of things but it’s more common to pick someone who might have no experience at all. With the right guide by their side, even a novice will have no trouble putting in a good performance at your celebration. In addition to these qualities, the Master of Ceremonies should know his or her duties and responsibilities and follow the agenda to ensure events are on time and transition smoothly so there are few, if any, “lulls” in the celebration. As the Master (or Mistress) of Ceremonies you could very likely be a close friend of the bride and groom or their family or a relative or a colleague. You could be the best man or the best woman. Or an uncle. Or the father of the groom. Sometimes you will be a professional. But most times, you will be someone who is known to those in charge of the planning and you will be a novice, probably never having been involved in this role before. Shortly after you’ve been asked – in person or by email or on the phone – to oversee the function, you should start getting prepared. And your “agenda” is going to be your closest friend right from the beginning. The agenda is also known as the runsheet or run sheet or running sheet. It’s prepared in consultation with the bride-to-be and the planners. That meeting can be in person, on the phone, or online. It lists all the events that will take place at the reception from beginning to end. It can start with the cocktail gathering (hour) or bridal party introductions or the Grand Entrance and it ends with the final farewell to the bride and groom and closing remarks to the guests. The agenda is one of the most important tools the Master of Ceremonies has because it itemizes everything that he or she is responsible for – or oversees – during the celebration. The timeline can refer to two things. It can refer to the timing of events during the reception and is part of the agenda. That timeline is created after knowing how long the celebration will run and how many events the bride and groom choose to include. Some receptions – like one held in the afternoon, for example – are very short and last just a few hours. Others are much longer and can go into the early morning hours. For the MC it also refers to the things that must be done leading up to the “day of” and includes the duties and responsibilities that have to be attended to. That’s when the emcee starts preparing his or her material as well as organizing and coordinating the events which will take place. 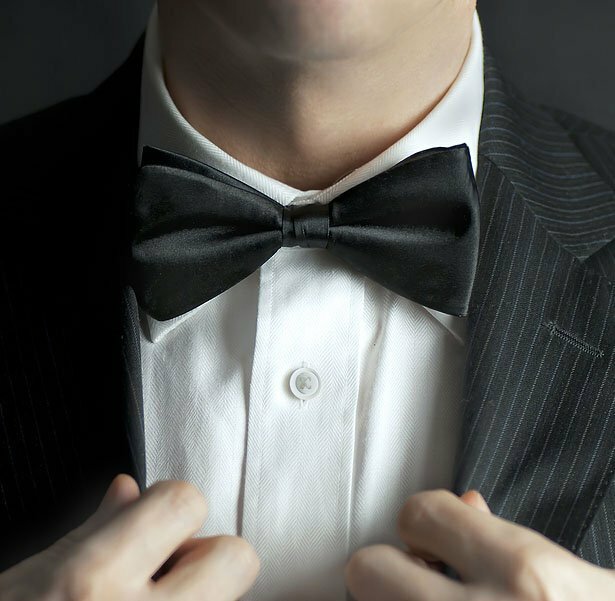 If you’re the Master of Ceremonies, it’s wise to start as early as possible preparing for the celebration since there’s a lot involved in your duties and you need time to organize all of the events. There are few things more exciting or fun than being a Master of Ceremonies. You’ll get to meet many interesting people and have fun during the reception – especially if you are well prepared. If you’ve never been a Master of Ceremonies before you’re probably feeling both flattered that you were asked and a little nervous because you really don’t know what your duties and responsibilities will be. So you’ll want to know what your duties and responsibilities are. Chances are, though, the people you talk to, including the planners, are a little vague about what they want and what they expect from you. In fact, they just want you to get things ready and “run things” as part of your role. But you need some idea of what’s expected. 4. You’ll make an Opening Speech to the guests. 11. You’ll introduce various events during the celebration such as entertainment, dancing, cutting of the wedding cake, bouquet toss, and garter toss. Other MC duties and responsibilities include introducing dignitaries, making sure the guests are entertained and having a good time, and ensuring that the bride and groom are safely transported to their destination after the events are over. Generally, these are the things that will be expected of you. That could change, of course, depending on the size of the reception and what the planners want. But the point is, you have to know what the wishes of the planners are. For example, they might want you to say the grace before the meal. Or they might want you to introduce someone – the minister or priest or a dignitary, for example – who will be saying grace. If that’s the case, then you have to plan your announcement and make sure everyone is seated before the blessing. It also alerts the person giving the blessing that they’re on call and should be ready. After all, there’s nothing more embarrassing than having some guests digging into their meal while the other people at their table have their heads bowed as the grace is being said. You have to know this is expected of you and you have to make sure that it’s marked down on your agenda for the appropriate time. If it’s not your responsibility, someone will be responsible for planning one or more events, and you should be aware of that and what’s required from you. For example, the DJ might be responsible for playing the bridal dance or first dance music, but you will still be required to coordinate the timing with the DJ and make the announcement to the guests and alert the photographer or videographer. If you’ve been chosen to oversee the reception, then start preparing early instead of leaving things to the last couple of weeks or days. The exception of course, is if you’re called upon at the last moment, in which case you could find yourself scrambling and needing to get up to speed quickly (this can help you). Gather background information on the bride and groom’s lives. Ask friends and family for fond memories or humorous situations that you can weave into your introductions. Keep in mind that people will get busier with planning the wedding as the day draws nearer so start gathering your material early. Most people want to know about this. But many get this wrong: Your opening speech doesn’t need to be elaborate – it’s not like a toast or the traditional speech. Instead, it’s a welcoming speech to the guests. And, really, the guests want to get the show on the road rather than listening to someone they don’t usually know drone on and on. 1) You’ve got a natural sense of humor that entertains people. 2) The bride and groom are delayed and you have to keep the guests from getting restless. In which case, you should be prepared for this. If you are asked to, you might have to make a traditional speech and/or toast to the bride and groom. Sometimes, you will be asked to make a toast. Practicing your presentation – whether the opening speech or a speech or toast to the newlyweds – will help you fine tune it so it flows smoothly. Practice with a friend or make a recording and look for areas that need improvement. You may have a natural flair for humor and telling jokes. But there’s a time and place for both. Contrary to what many may think, jokes and humor are not necessary to have a fun time. There are plenty of other ways to create an upbeat mood that makes the function fun. In fact, those ways, such as dancing or games, are longer lasting than a quick joke that is over in a minute or two. There’s nothing worse than making jokes that embarrass someone – especially the newlyweds or their friends or family. Be sure that any jokes are clean, funny, and appropriate. If you do use jokes or humor throughout the reception, keep in mind that you are not the entertainment so you are not expected to be a stand-up comedian. And always remember that the spotlight should be on the newlyweds on their special day. Sometimes you’ll be called upon to give a toast. If that’s the case, it might be preceded with a short speech. Your toast doesn’t have to drag out. Keep it short, touching, and memorable. The key thing to remember about being a Master of Ceremonies is that you should know something about both the bride and groom. It seems obvious, doesn’t it? After all, you’ll want to have a close relationship with them because you`ll be interacting with them throughout the celebration. It really is quite simple – you spend time with them and ask them questions. 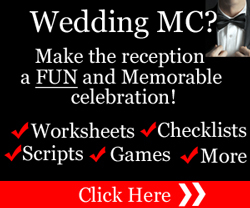 In fact, you will find a detailed list of questions in How To Be A FUN Wedding MC. 1. Was there something unusual or humorous about how they met? 2. Do they have favorite movies, movie stars, TV shows, comedians, personalities, books, stories, music you can talk about? 3. What do people admire most about the bride or groom? Be sure to do your research by asking the newlyweds questions or asking their close friends and family. You’ll definitely need this information if you’re going to add special touches to the celebration or you’re making a toast or a speech. If you’ve been asked to make a formal speech, keep in mind that while it might be directed to the bride, for example, you should include the groom as well. The very fact that you go into such detail shows that you want the reception to be a success and that you take your responsibilities and role seriously. There’s nothing worse than having squealing “feedback” from a microphone. Make sure you’re familiar with the microphone before using it. And make sure you help other guests who will be making speeches or toasts because some, or all of them, might not be familiar with how a microphone works. 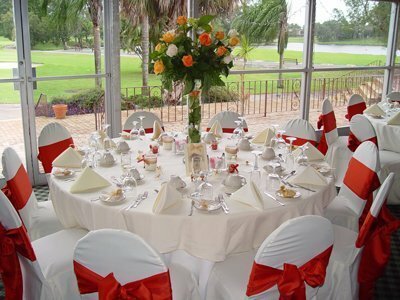 The events, the introductions, the timely order of events are all choreographed to ensure the function flows smoothly. That seamless integration of events only comes with preparation and planning. Preparing a day or two before the big day will only lead to confusion and unhappy guests and ruin what should be a perfect day for the newlyweds. You never want to be caught off-guard or have unexpected surprises when you’re conducting such an important function. Check the venue. Check the lighting so you know you’ll be able to read your notes. Get a feel for the room and know where important guests – including the head table and dignitaries – will be seated. Have contingency plans in place if the weather changes or there’s an emergency. You will probably have input into entertainment and games (you will find fun ideas to suggest to the bride and groom in How To Be A FUN Wedding MC). But before those events, you will want to create an upbeat mood that gets the guests excited for what’s been planned. Usually you can do that with the help of the DJ or band leader. After all, there is nothing quite like upbeat music to get people in the right mood for fun. The quickest way for the guests to have fun is to get them involved. Get them on the dance floor if there is dancing. Get them playing games. Encourage them to participate. Key players are all part of the planning team. From the venue manager to the caterer to the DJ or band leader to venue or catering staff, they are all there to help and support you and make the day a success. That’s why it’s important that you introduce yourself to key players and interact with them throughout the function. Keep them informed of changes or upcoming events that involve them. As well, know how the key players fit within the timeline. If someone is entertaining the guests, know how long the entertainment is for and be sure there is sufficient time allotted for it. Most receptions have speeches and toasts. It’s the one time when those closest to the bride and groom can publicly give their good wishes. Your job is to make introductions and keep things moving along. Make it a fun time with your introductions and be prepared to make a closing comment after the speaker or toaster has finished. Chances are your input will be asked for when preparing the order of speeches and toasts. Be encouraging and flexible. Keep in mind, though, that ideally, you want the speeches to be short but meaningful otherwise the event can become drawn out and boring. You are considered to be the professional, so your advice may be asked about the events or what games to be included. 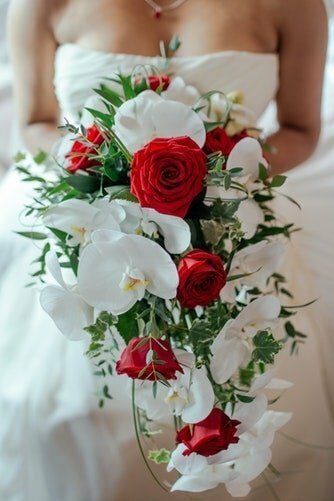 In any event, defer to the newlyweds wishes, whether you agree or not unless their request or decision is ill informed and could pose a risk or danger to anyone. Always have a backup plan in place in case something goes wrong. 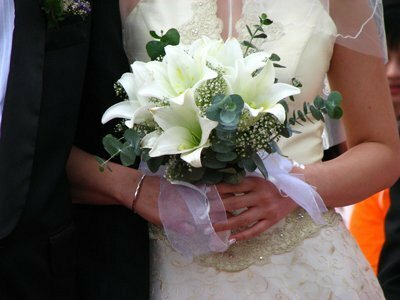 The program is different from the agenda and is entirely optional – especially if the newlyweds are on a tight budget. The program is not something the MC will usually be involved in since it’s informational and does not affect the agenda or timeline. Checklists help the Master of Ceremonies prepare for the celebration. Detailed checklists help to ensure that important and critical items are not overlooked. They speed things up for the emcee and help with organizing events. They are especially helpful if you are running out of time or you have been called in at the last minute to oversee the function. No Master of Ceremonies should be without checklists – they definitely make planning easier and faster. In How To Be A FUN Wedding MC in addition to the timeline, you’ll find checklists for the venue, events, and the final checklist to ensure the Master of Ceremonies has prepared everything for the celebration. If you’re a novice or first-time Master of Ceremonies you very likely won’t know what to say. And that’s understandable. After all, this is a role that is a new experience for most people. But it can be intimidating when you’re standing in front of 100 or more guests who are sitting around waiting to hear what’s going on. This is one time when all eyes are on you instead of the bride. That’s where MC Scripts come in handy as they guide you through the various events that will take place. 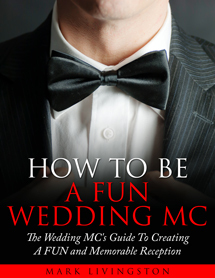 One of the most requested MC Scripts is the MC Opening Speech which is included in How To Be A FUN Wedding MC. But it includes more than that. This popular “playbook” for the Master of Ceremonies also shows you how to “warm up” the audience to get them into a party mood so they’ll have a fun time. There are a number of ways to have fun at the celebration but one of the best ways to make it a fun and memorable time is to have games. The more you can involve the guests in the games the more they’ll enjoy their time. Games can be held while guests are waiting for the main meal or they can be held after the main meal. Some games involve the guests and others will be specifically for the bride and groom with the guests looking on. Choose games that are fun, funny, and not overly competitive. And remember that competitive games (like musical chairs) can turn into pushing or shoving matches if the participating guests have had a little too much to drink or get overenthusiastic. In most cases, the games will be organized by the MC and the planners together. In How To Be A FUN Wedding MC you’ll find a select group of more than 50 super-powerful party, entertainment, and group activity ideas to make the celebration a memorable event. There’s no guessing “what to do.” Everything is laid out for you – what you need and how to play the game – and includes indoor activities, outdoor activities, and even activities the kids can participate in! These tips will come in handy not only as you prepare for your role, but also during the events when you’ll be performing your duties and responsibilities. The celebration is about the newlyweds. That’s why it’s important to make them the focal point and not steal the limelight from them. In other words, don’t become the “entertainment.” Instead, be the coordinator and director of events. You’ll meet a wide range of guests from all walks of life. You’ll meet children, you’ll meet grandparents, and possibly great grandparents, and you’ll meet all ages in between. You’ll also meet people from different cultures and backgrounds that are sometimes similar to yours and sometimes not. Although you’ll not meet everyone, you’ll interact with those who are involved closely with the function or who are involved with the planning in some way. That will usually include planners, key players, speakers and toasters, entertainers, friends and colleagues, the bridal party, and the bride and groom’s close family members. If you want to ease your nerves then mingle with guests, introduce yourself, and welcome them. It’s a good way to break the ice and a quick way to connect with guests, many of whom will be strangers to you. There’s nothing more embarrassing that having the bride or groom or father of the bride come up to you and ask whether you will be doing something and being caught unprepared, thinking it wasn’t something you thought you had to do. Know from the outset what your duties and responsibilities will be and what is expected of you. If necessary – and it usually is – connect with other people involved in the function so everyone is on the same page. You know the old saying about assuming something. Always take a few minutes to check and verify rather than being caught unprepared and having to rush around in a panic. For example, it would be embarrassing and nerve wracking to find the door to the venue room locked as the guests are arriving. Everything should be open and ready to welcome arriving guests. You have your agenda and timeline. You know what’s going to take place, whether it’s the garter toss or cutting the cake, or the final farewell. Think ahead and plan ahead so the transition between the events is smooth and the guests don’t get bored or restless waiting for the next thing to happen. 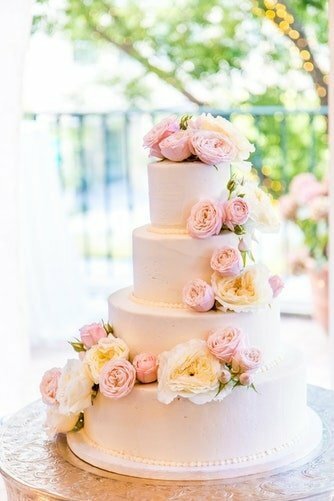 If the next event is the cake cutting, make sure the table is ready and the catering staff are ready to bring the cake out and serve the cake after the event is finished. Also make sure the photographer has a spot where he or she can take photographs without other guests getting in the way. If the next event is the speeches and toasts, make sure the speakers and toasters are available. In How To Be A FUN Wedding MC you’ll get suggestions and ideas on how to look after this event from start to finish. All things point to you. In other words, you’re the point man or point woman. If someone has a problem, they’ll go to you for direction and advice. Think of yourself as a hub – you’re at the center of the activity and people look to you for guidance. You’ll also be the one who people go to if there’s an emergency or an announcement has to be made – someone left their car lights on in the parking lot or there’s an urgent message at the front desk. It’s your role to work with others and in some cases, direct people and ensure they know what their responsibilities are and what’s expected of them. There are certain things people expect from someone who oversees a large function. They wouldn’t expect, for example, someone who was rude or who made inappropriate jokes. > Pronouncing places (towns, cities, countries) correctly. People are proud of where they’re from and it shows attention to detail if you pronounce names of places correctly – especially if they’re difficult to pronounce. > Introducing speakers and dignitaries properly – certain dignitaries such as a minister or mayor, for example, have special titles when being introduced. There’s a reason all the planning took place months before the big day – it’s so the bride and groom don’t have to worry about all the little details at the celebration. They expect you to take charge and not consult with them about each event. Sometimes you will have to consult with them, but be prepared to shoulder the responsibility throughout the function and not bother them with questions. Most novice MCs for a wedding reception mistakenly think all they have to do is give a speech and make a few announcements and introductions. It is perfectly understandable to think that if you have never performed these duties before. Unfortunately, if you simply make announcements and introductions, you’re not going to make it a memorable occasion for the bride and groom. And that should be your goal – to make it so much fun that people remember what a good time it was. A considerable amount of money, time, and effort have been invested in making this a memorable time not only for the guests but also for the bride and groom. So you want to bring your “A” game to this very important function. As you can see, being a Wedding MC takes a lot of planning and preparation. You’ll need to prepare early so you don’t forget important details or have to rush around at the last minute because something was forgotten. I don’t know about you, but if it were me and I was planning a wedding celebration, this would be one time where I’d need – and welcome – a detailed “playbook” to follow instead of guessing what to do. There are just so many components to organizing and planning that you need to keep things straight. You’ll need to know what questions to ask the bride and groom, the bridal party, and the guests who will be giving speeches or toasts. Each of these factors will help you plan a fun time. One event isn’t more important than another because, just like cogs in a wheel, everything meshes together to create a fun time. The only difference is that some events are longer than others and occupy a larger part of the function. And some events take more planning. The entertainment and games, for example, might take more planning than the speeches and toasts. The introductions of speakers will take more preparation than making “housekeeping” announcements at the very beginning. If you’ve never been an emcee before you should now have a better idea of what you will be required to do but you won’t know HOW to do it. That’s why How To Be A FUN Wedding MC was created. It shows the novice MC how to plan a FUN reception from start to finish. It’s your game plan, your blueprint, your ultimate playbook. Just as an NFL player follows a playbook to execute plays on the field, so too, you follow a playbook for the reception. Author’s note: How To Be A FUN Wedding MC is the novice’s “playbook” that guides you through the events of a wedding reception from start to finish in your role as Wedding Master of Ceremonies. Even better, it will save you countless hours of stress and frustration and make your planning a LOT easier than trying to learn as you go along. It has been used by hundreds of Wedding MCs worldwide. It’s specifically designed for Canada, United States, Australia, New Zealand, South Africa, United Kingdom, the Caribbean, and English speaking European countries.